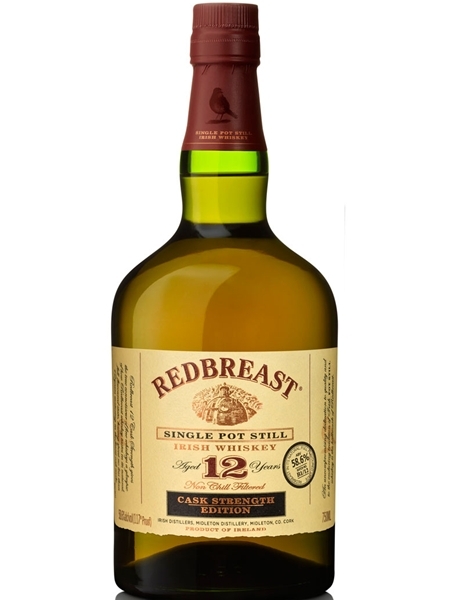 Redbreast is Midleton's premium end Irish single pot still brand and has gained worldwide acclaim, justifiably so. It's maturation has a heavy sherry influence and carries a distinctive Christmas cake flavour. The brand boasts a 12 year old, 15 year old and 21 year old expression. For those of you that like their whiskey to pack a punch, the 12 year old is now available at cask strength (~€90). This release is bottled at 58.6% ABV.